Great job Judy, love your mojo card. Look how fast you did that, after all the cards yesterday did you sleep at all :)? The second card is very elegant. Good luck at VGH, fingers are crossed that all goes well. 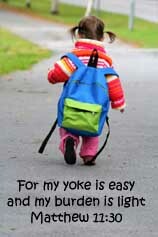 You will be like a young lady sprinting around with your new knee, will you bionic? 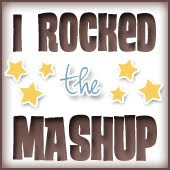 So glad you are letting us all share in your medical news - we will continue to pray for you! 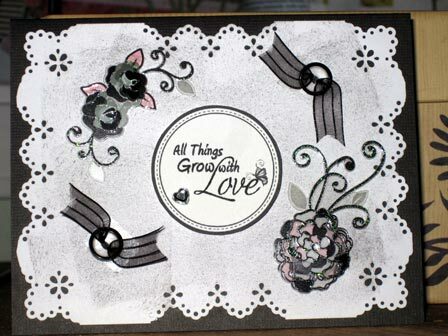 Love how you used Val's paper - what sort of paper do you print to? Is it just regular paper or a cardstock? 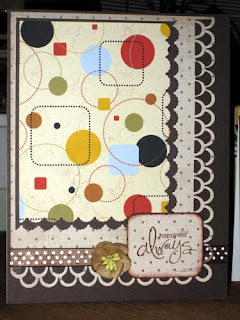 Do you find cardstock makes it sort of dull? 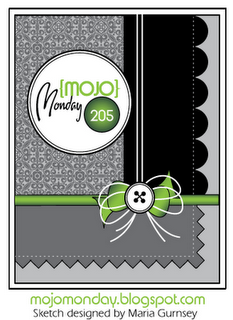 I was looking at Mojo Monday and loved your card-I love the spotted paper. WOW! It's been a while since I saw that paper..I forgot I had it.LOL So happy you were able to use it. :) Your card looks AWESOME.I LOVE all those scallops and the dotted ribbon too!